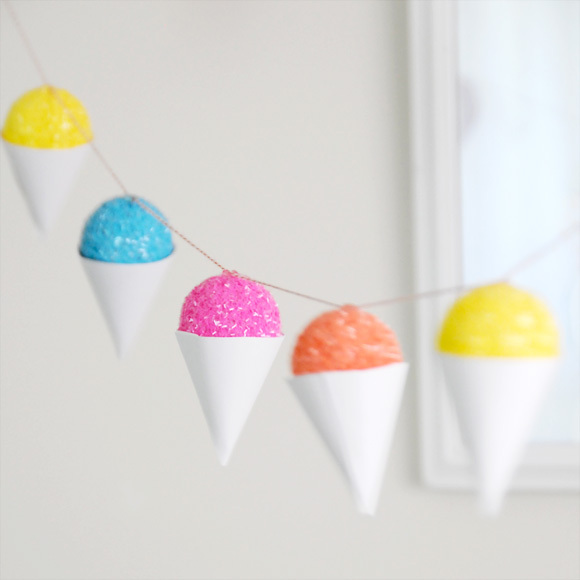 This colorful snow cone garland is intended to be a summer party decoration, but I am thinking this cute thing should stay up all summer long! And maybe a faux snow cone wreath to go with it! Now if I could just think of a way to get them to light up (maybe battery votives in the cone) they would be great outside for a summer swim party! You can see the step by step tutorial for making your own faux snow cone garland over at Creature Comforts. They use these fun mini snow cones as gift tags and place cards too! Those are perfectly fun for Summer.